Look what I finally found on the LEGO website today! Celebrate the Grand Opening of the LEGO Store at North Star Mall in San Antonio, TX! 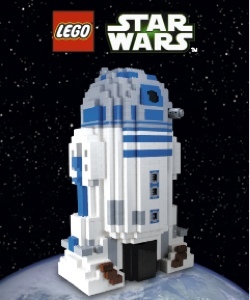 Help a real LEGO Master Builder construct an 8 foot tall model of R2-D2™ completely out of LEGO bricks! You'll even receive a free Certificate of Achievement for participating! • Friday: FREE Collectible LEGO T-Shirt with a $50 Purchase! • Saturday: FREE Limited-Edition LEGO Store Set with a $75 Purchase! • Sunday: Free Exclusive LEGO Minifigure Set with a $50 Purchase! Offer valid this weekend only or while supplies last. See a Brick Specialist for details.